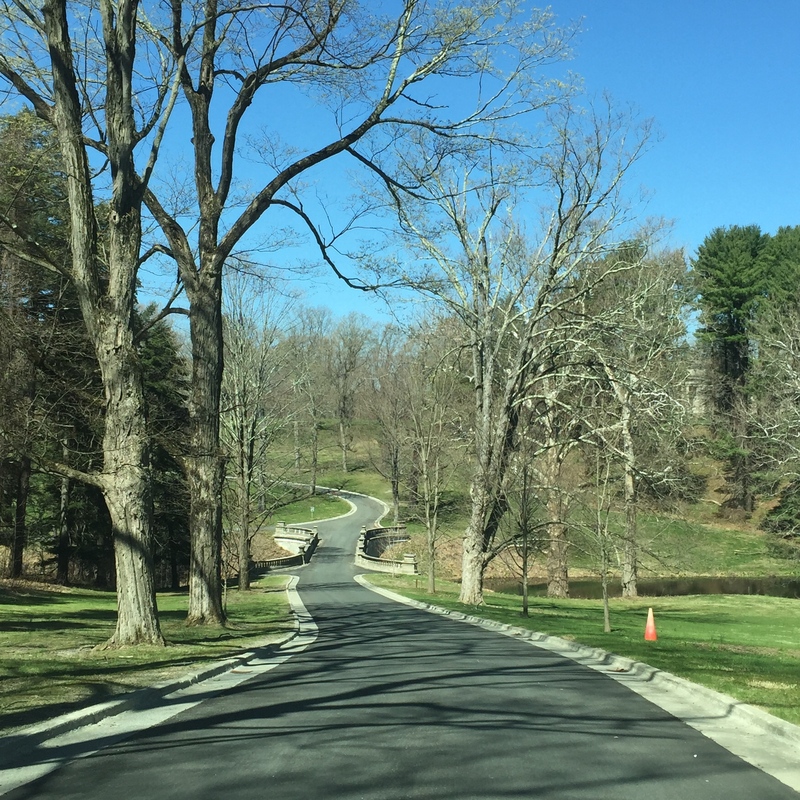 The driveway to the Vanderbilt Mansion. 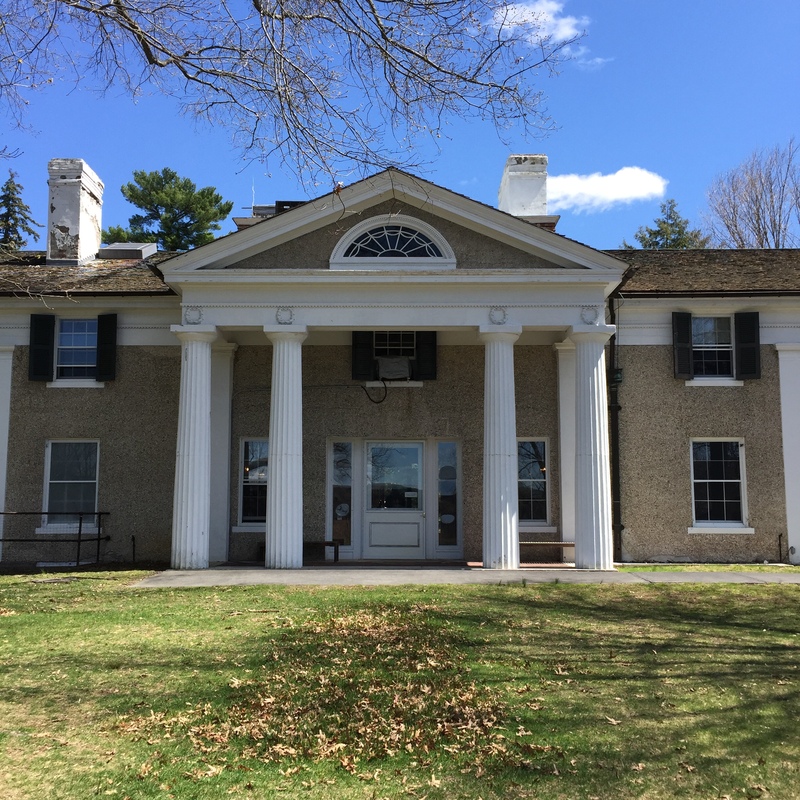 The National Park Service Visitor’s Center at Vanderbilt Mansion NHS. 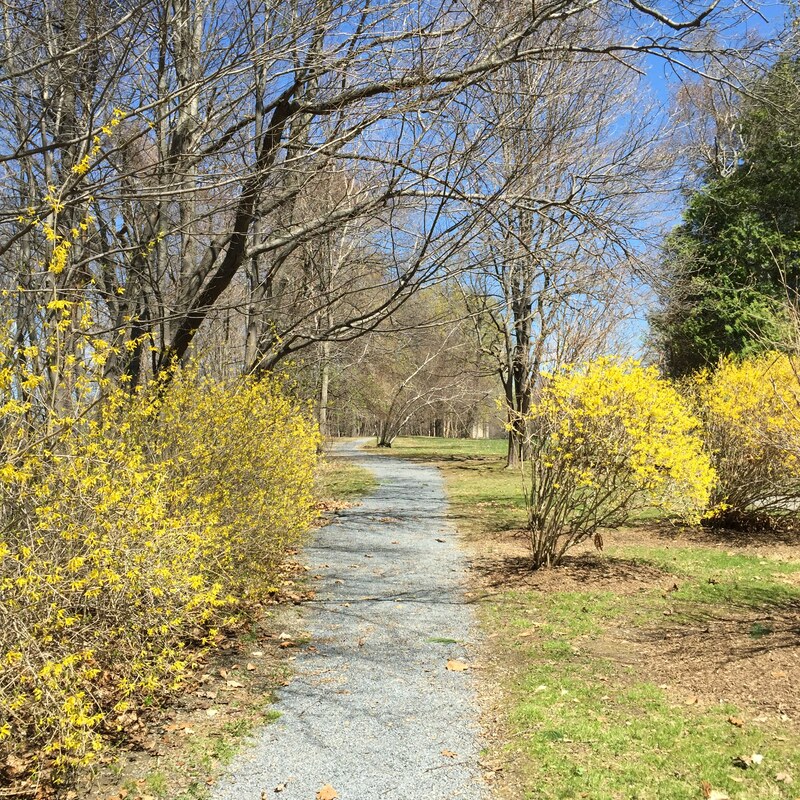 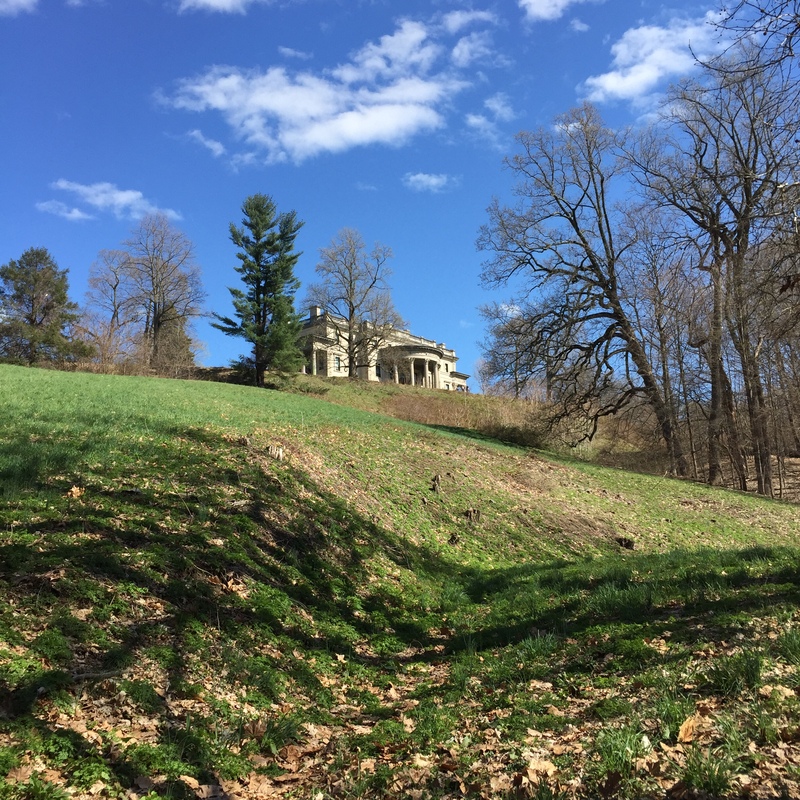 We took a short stroll to the Vanderbilt Gardens at the Vanderbilt Mansion NHS. 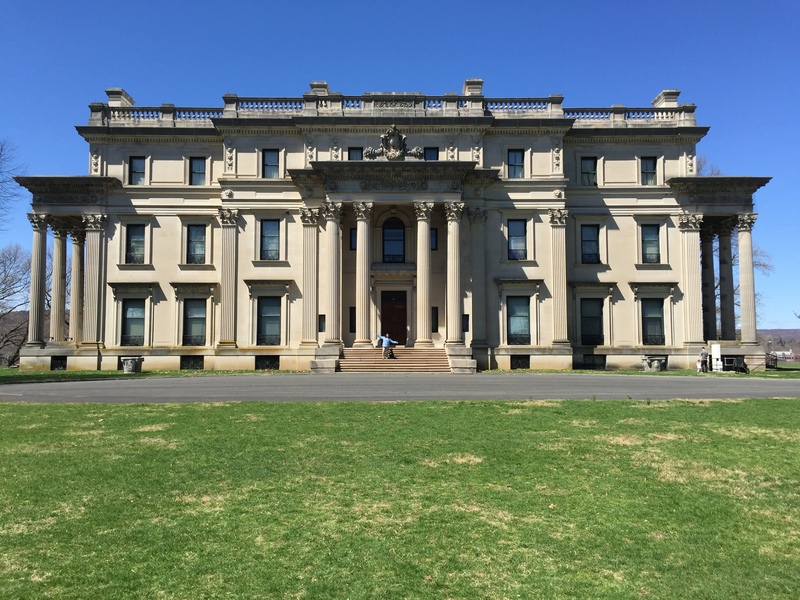 After visiting the Vanderbilt Gardens, we made our way back to the Vanderbilt Mansion for a tour of the house. 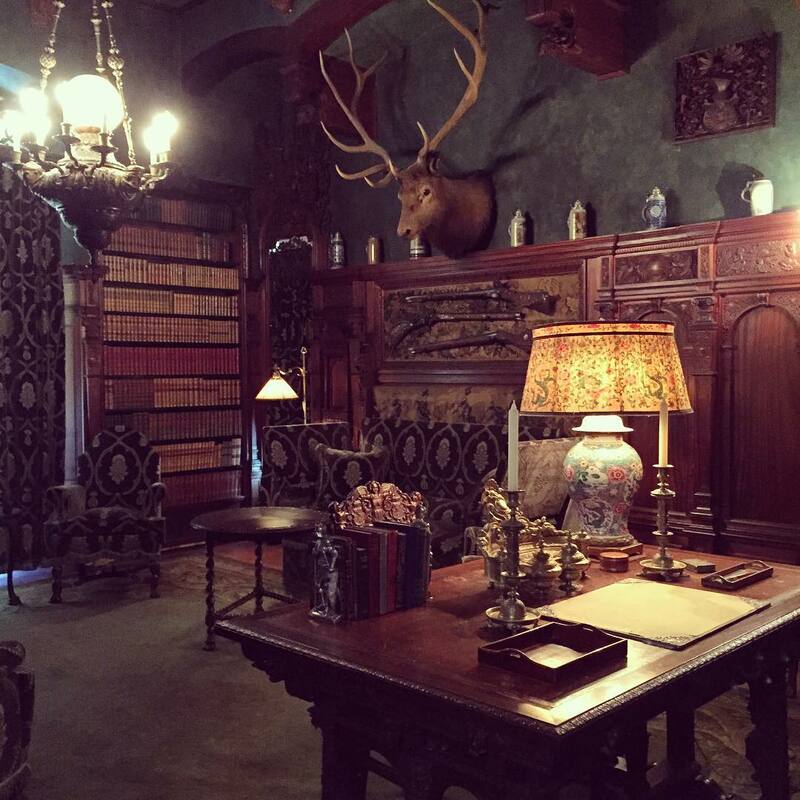 This was Mr. Vanderbilt’s office in the mansion and one of my favorite rooms. 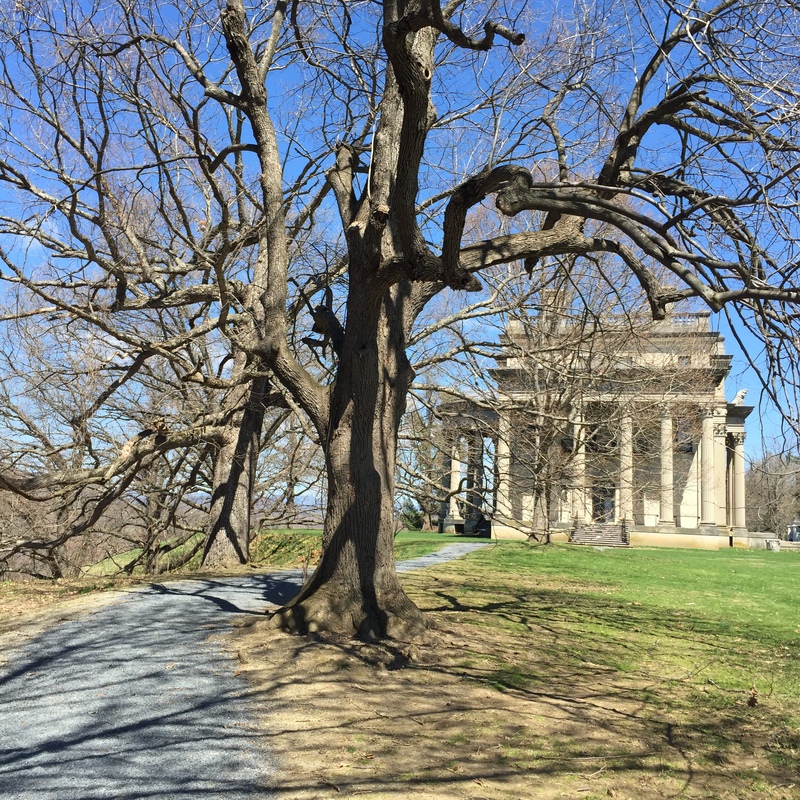 After we toured the Vanderbilt Mansion, we decided to take a walk to Bard Rock, which is also located on the property. 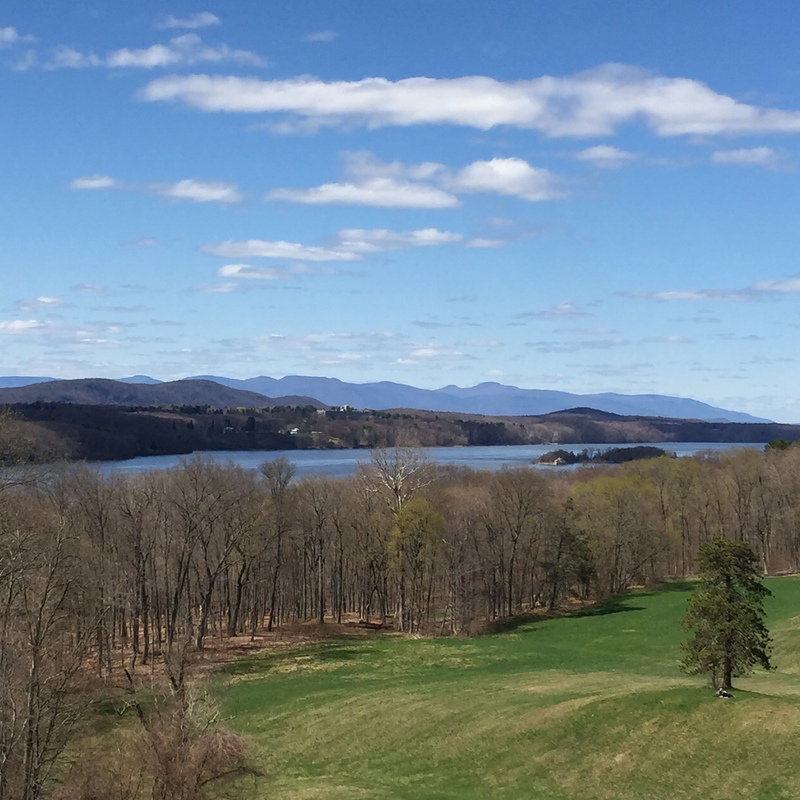 On the way to Bard Rock, we walked past this beautiful view of the Hudson River Valley. 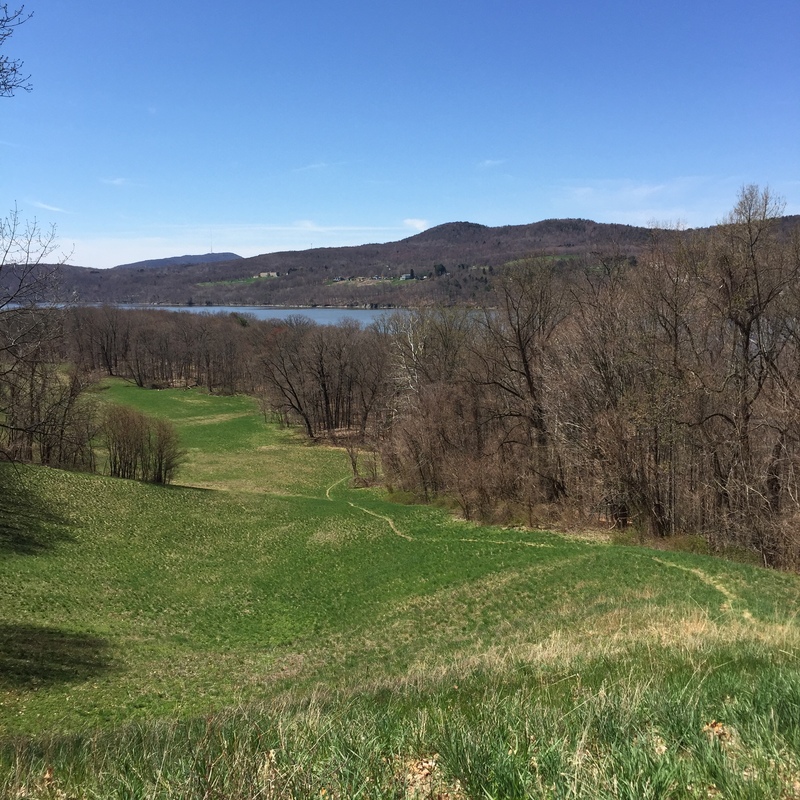 It is marked as an overlook spot. 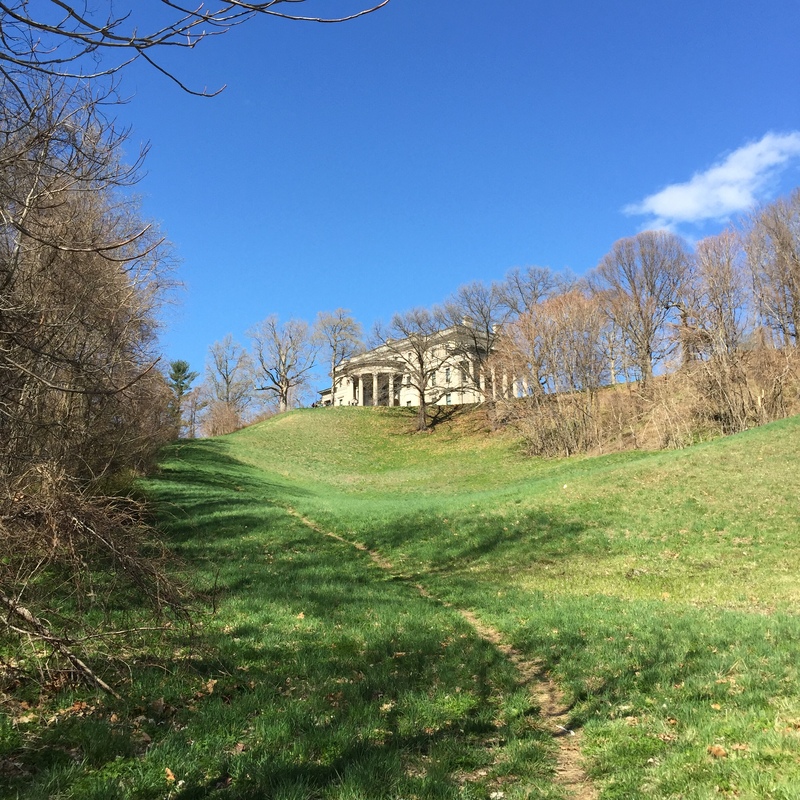 On the way to Bard Rock, we noticed this view of the Vanderbilt Mansion. 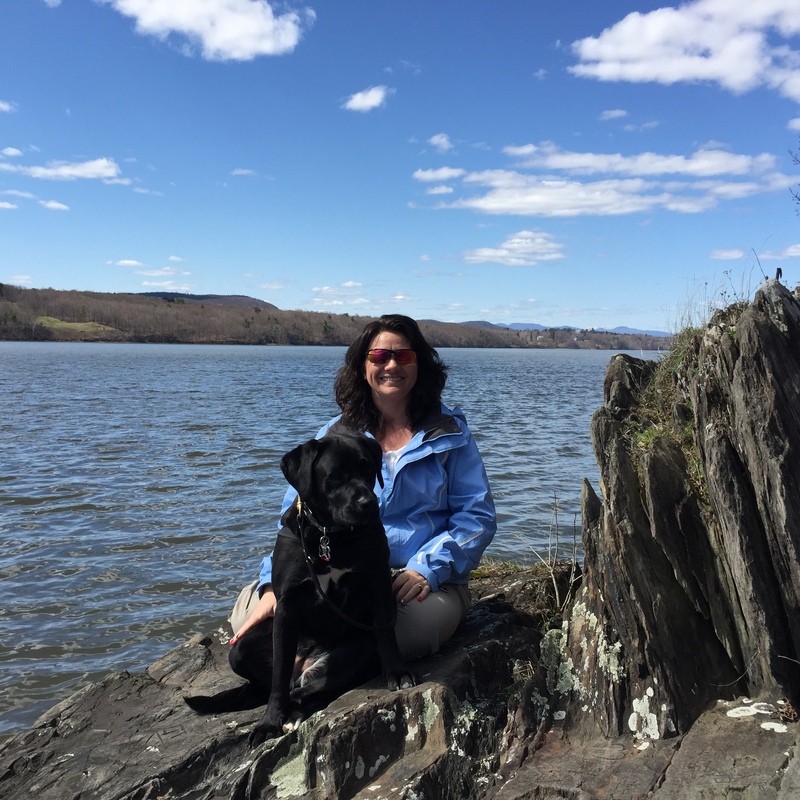 Jennifer and Onyx at Bard Rock near the Hudson River on the Vanderbilt Mansion property. 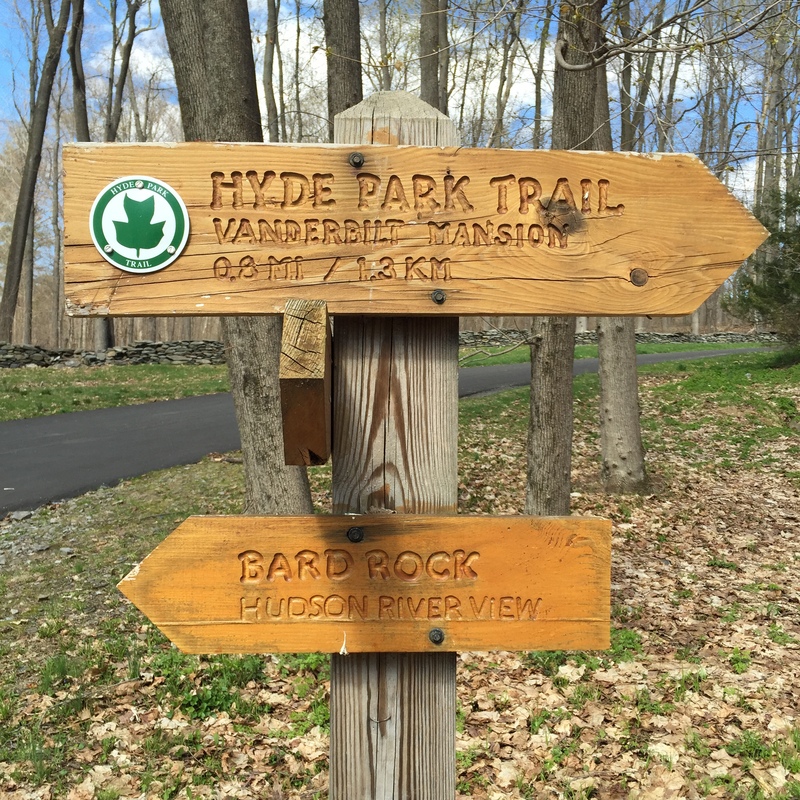 On our way back from visiting the Hudson River, we took the Hyde Park Trail so we could loop back around up the path near the Vanderbilt Mansion.